The title of this post is the same as that of this article on The Guardian. Minicab drivers are launching a legal action against the London mayor, Sadiq Khan, accusing him of discrimination against a largely ethnic minority workforce by making them pay the congestion charge while black cab drivers, who are overwhelmingly white, will be exempt. Black cab drivers may or may not be overwhelmingly white, but I have certainly never seen a South Asian black cab driver. But Central London is getting increasingly polluted and congested and this slows the buses, that I regularly use through the centre. I am no legal expert, but I have a feeling, that the Ultra Low Emission Zone, which will extend to the North and South Circular Roads will be a very big factor in the next Mayoral Election. The lawyers, who will be big winners in this debate, have surely been sharpening their pencils. 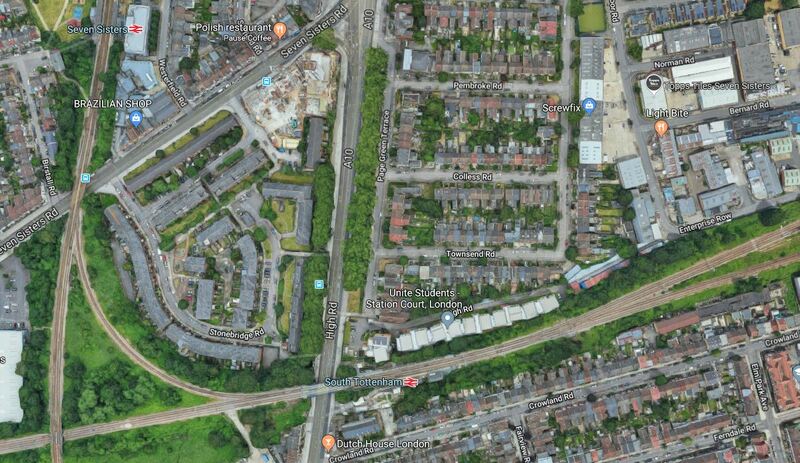 TfL’s plan for the Overground would appear to be an extension under or over the River Thames to a single station at Thamesmead and a possible connection to the North Kent Line at Plumstead, Abbey Wood or Belvedere stations. The plan for the DLR involves more stations, including a possible one on the North Bank of the Thames. It also serves a proposed massive Peabody housing development, which will provide up to 11,500 new homes. Nothing is said in Ian’s report about train services to Thamesmead. On the Overground, there will be four trains per hour (tph) between Gospel Oak and Barking Riverside stations. There are problems with increasing frequency and capacity, which could be necessary. The terminus at Gospel Oak station is only a single platform. The Gospel Oak to Barking Line is used by an increasing amount of electrically-haled freight trains. There is little space on the line for an additional bay platform to turn trains. Trains can’t continue along the North London Line at Gospel Oak, as that line is busy as well. The only alternative Western terminals are. Barking – A bay platform could possibly be squeezed in. Enfield Town – Sounds crazy, but there is a chord between Seven Sisters and South Tottenham stations. Fenchurch Street – Busy and possibly could be made larger with redevelopment. Liverpool Street – Busy and only a slight possibility. There would also need to be platform lengthening to incorporate trains that are longer than four cars. Although, it might be possible to run five-car trains using selective door opening on the last car. Currently, the DLR has a Peak service of 7.5 tph between Tower Gateway and Becton calling at Shadwell, Limehouse, Westferry, Poplar, Blackwall, East India, Canning Town, Royal Victoria, Custom House, Prince Regent, Royal Albert, Beckton Park, Cyprus, Gallions Reach. The extension to Thamesmead would branch off around Gallions Reach and the current service has the following connections. Will there be enough capacity on this section of the DLR? Tower Gateway is a single-platform station and would need to be upgraded to handle more than 7.5 tph. Thirty tph run through Shadwell, Limeshouse and Westferry station in the Peak. Can stations be lengthened to use longer trains? It does look to me that the only way to increase capacity would be to extend the DLR to the West, as I outlined in The Bank Station Upgrade And The Western Extension Of The DLR. 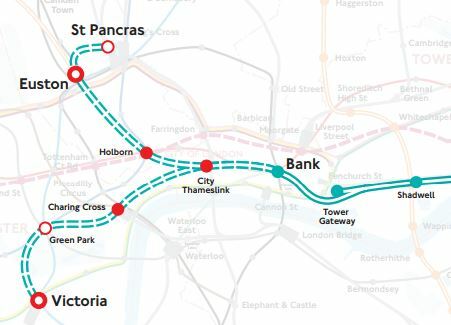 This map from TfL shows the possible extension. What would be the cost of this extension? The logic and economics of extending either the Overground or the DLR to Thamesmead are sound for that area of South-East London, but does The Mayor have the budget to complete the other end of the transport links? The title of this post is the same as that of this article in the Financial Times. People close to the project believe that TfL will announce in the new year that the completion date is being pushed back until September 2021. This delay will heap more financial woes on Transport for London. Transport for London have already postponed these important upgrades. The resignalling of the Piccadilly Line. The rebuilding of Camden Town station. The rebuilding of Holborn station. I believe that on financial grounds, the Mayor must reverse his fare-freeze as soon as possible. The title of this post is the same as that of a news story in today’s Sunday Times. The Sunday Times has done a detailed analysis and makes the following points about the Ultra Low Emission Zone (ULEZ). About a million vehicles will be liable to the new levy. The ULEZ charge of £12.50 will be a nice little earner for Transport for London (TfL). The ULEZ charge will raise three times as much as the Congestion Charge. It could collect up to £1.5billion per year. Some people will be paying £4,000 a year to drive their own car. Initially, the charge will only be levied in Central London, but after 2021, it will apply inside the North and South Circular Roads. The Sunday Times has read some TfL impact assessments. Reading the full article convinces me, that I made the right decision to give up driving. I am in favour of the ULEZ, as I suffer from pollution and I don’t have a driving licence because my eyesight was damaged by a stroke. But Sadiq Khan seems to have forgotten a lesson of recent history, where the City of Westminster voted down his laudable aim of pedestrianising part of Oxford Street. On that issue, he should have pedestrianised all of it. Just as the City of London seems to be doing! But the motoring lobby gave Westminster a good kicking and do you think, they will be less active at the ballot box in the next Mayoral Election? Few would vote for someone, who would tax them an extra £4,000 a year. Sadiq Khan is a well-meaning politically-correct lightweight, who doesn’t think through the effects of his promises. 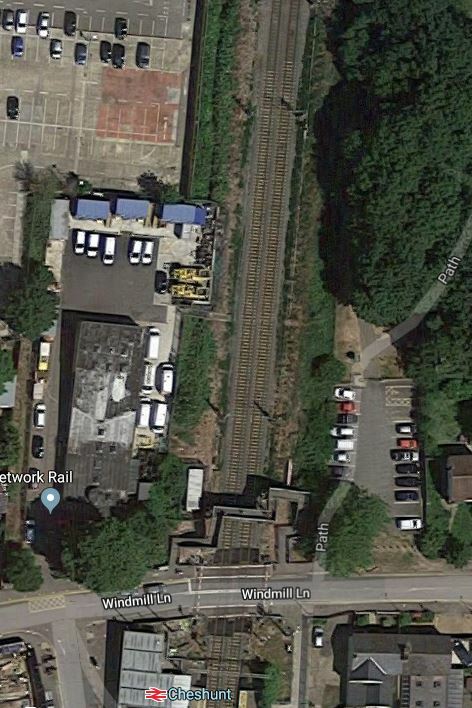 Is There Hope Yet For The Metropolitan Line Extension? This article in the Watford Observer is entitled Hertfordshire County Council Tables Plans For Met Line Extension Project To Still Go ahead. This is the start of the article. Plans will be tabled for the Metropolitan Line Extension to go ahead despite last month’s shock rejection from the Mayor of London. An emergency cross-party motion has been tabled for Hertfordshire County Council’s budget council on February 20 in a bid to show there is still political support for the project is still ongoing. The motion has been agreed with the Conservative leader of the council, David Williams, and Liberal Democrat group leader Cllr Stephen Giles-Medhurst. The plug was pulled on the scheme last month despite additional government funding of almost £74m. It looks to be more optimistic about this difficult project. The article makes the point that TfL are paying for step-free access at Amersham and Rickmansworth, which outside the London area. I can’t help feeling though that this project is all about politics and very little about seeing, if a more pragmatic solution can be found. There are several rail projects that serve Watford that need to be taken together. Crossrail up the West Coast Main Line. New trains for the Watford DC Line. The future of the Milton Keynes to East Croydon service. What to do with the Northern end of the Bakerloo Line. Improved Watford services by West Midlands Trains. Possible Chiltern Railways access to Watford Junction along the Metropolitan Line Extension. I suspect that if all projects are looked at together, a better solution can be found. I come from mixed Jewish/Huguenot lines and my philosophy is probably humanist, although I’m a confirmed atheist. But if I’m wrong, finding Heaven could be a bonus when I die! This article on the BBC is entitled Labour ruling ‘fails Jewish community’, says Chief Rabbi. Individuals, like Livingstone have no place in an inclusive political party. This article on the BBC is entitled Date announced for London ultra low emission zone. I am not against the ultra low emission zone, just the way that it is being brought in unilaterally in London. We need ultra low emission zones all over the country and there is many things we can do. More hybrid and electric buses when they are available at an affordable cost. Trucks should be more environmentally and cyclist friendly. Grants will probably be needed to scrap older diesel vehicles and invest in new trucks and buses. The one thing that is right is to bring in the zone in 2019, which will be just after the Central London section of Crossrail has opened. There needs to be measures from Central Government, but as ever, staying in power comes first. I have a feeling that London’s ultra low emission zone will not be good for Sadiq Khan in London, as it’s going to cause inconvenience for many in London.